Primeiro Partners: Investment Banking. Asset Management. Independent & Strategic Financial Solutions. 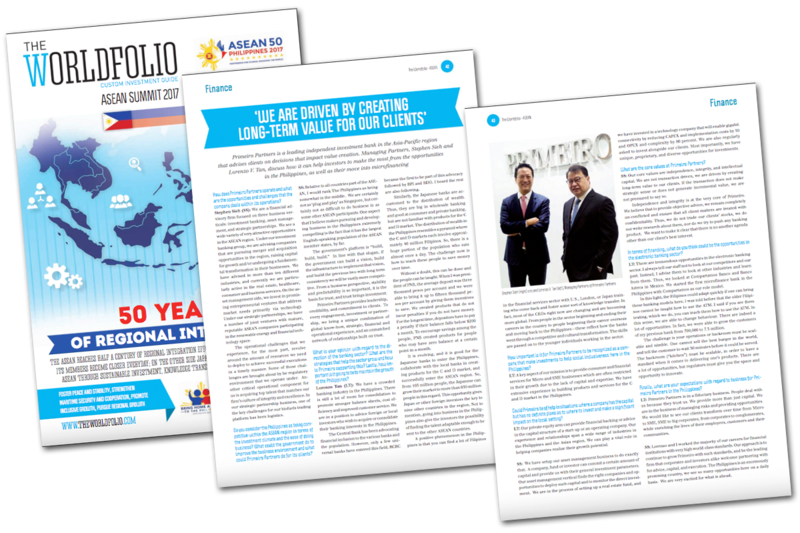 Primeiro Partners is a leading advisory firm in the Asia-Pacific region. Our knowledge is based on experience advising on and investing in transformational transactions. Our commitment is to always place our clients and investment partners first. 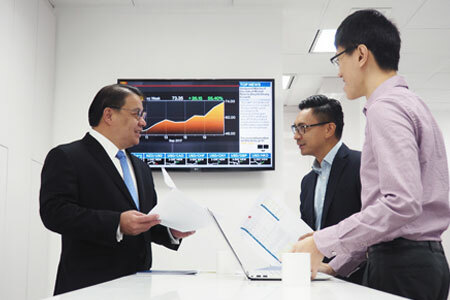 Primeiro Partners is a leading independent investment bank in the Asia-Pacific region that advises clients on decisions that impact value creation. 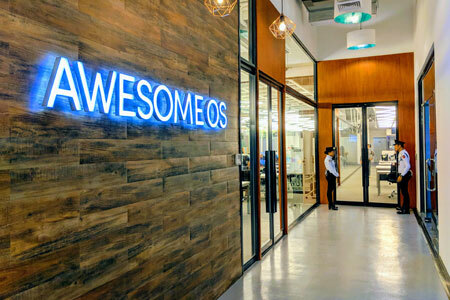 Managing Partners, Stephen Sieh and Lorenzo V. Tan, discuss how it can help investors to make the most from the opportunities in the Philippines, as well as their move into microfinancing. How does Primeiro Partners work and what are the opportunities and challenges that the company deals within its operations? 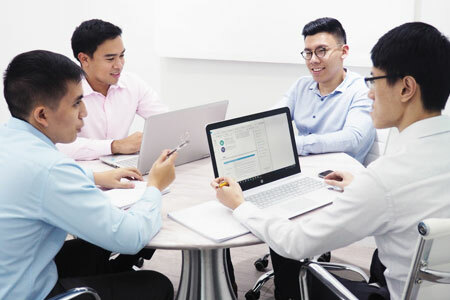 ET Energy, a leading global clean energy developer and operator, and Vivant Corporation, a leading energy solutions provider based in the Philippines, sign an agreement to enter into a Joint Venture (JV) – ET Vivant Solar (EVC). 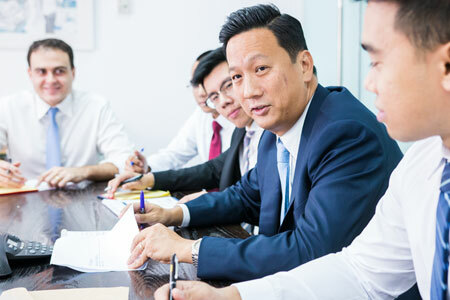 The JV came about following initial introductions of the two parties made by Primeiro Partners, who also advised them on the formation of the JV, in December 2016. Primeiro’s culture sets it apart from other firms as professionals work in a collaborative environment alongside the most seasoned global bankers. New analysts and associates will be engaged in different aspects of a project, which gives them the opportunity to learn and at the same time participate fully in their deals. New members of the firm will be challenged to be their best because Primeiro views its professionals as future leaders of the growing firm.